Dr. Patrick Mendis recently addressed the inaugural Belt and Road Lecture at the University of Hong Kong. The following are excerpts from his speech. Harvard Sino-American policy expert and former American diplomat Dr. Patrick Mendis recently addressed the inaugural Belt and Road Lecture at the University of Hong Kong. The following are excerpts from his speech. Compared to Hong Kong, Shanghai seemingly has several advantages as the Belt and Road Initiative moves forward. Hong Kong has long been the window for investment and commercial opportunities for European and American companies. At the same time, the Shanghai Free Trade Zone seems to attract more and more domestic and foreign investment as the Belt and Road Initiative connects Shanghai to the greater world. The Belt and Road Initiative is in a sense a renewal of the ancient Silk Roads. With the Silk Roads, China became a “cosmopolitan nation” during the zenith of the Tang Dynasty (618-907). The origin of the Silk Roads extended beyond the official diplomacy of Zhang Qian (164-114 BC) in Central Asia. In Ming Dynasty (1368-1644), Admiral Zheng He commanded China’s most adventurous and far-reaching maritime expeditions, reaching as far as Africa and laying the foundations for the Maritime Silk Roads. As a coastal metropolis, Shanghai has the interconnectivity to these two pivotal dynasties through modern transportation networks. In fact, Shanghai is the hub that links with railways, highways, airports, and river navigation between the hinterland and the rest of the world. With the Belt and Road Initiative, China intends to rejuvenate the Confucian culture and commercial glory of the ancient Silk Roads, which linked civilizations in Persia and elsewhere. Now it stretches from Shanghai to Europe through Central Asia and the Middle East, and to Africa through maritime routes. Even with the age of US President Donald Trump’s “Make America Great Again” nationalistic policies, American investment and commercial interests are increasingly linked to Shanghai and Hong Kong. Long before the birth of the United States in the eighteenth century, American entrepreneurs and businessmen enjoyed trade relations with Canton (Guangzhou) in the Pearl River Delta. Hong Kong merchants also traded with their American counterparts, making the United States a “global nation.” Chinese culture and Confucian philosophy also inspired the founding generation of the United States. “The Chinese are regarded as an ancient and highly civilized nation,” Benjamin Franklin, a leading Founding Father and America’s first diplomat, said. Franklin also wrote about the relevance of Chinese civilization in American progress and governance, saying the new (American) republic should apply the moral teachings of Confucius for a “happy and flourishing empire” in the United States. Over the years, however, this founding vision has gradually changed. But the United States will eventually get involved in the Belt and Road Initiative — through Shanghai and Hong Kong — not as a choice but as a necessity to America’s long-term progress as a global nation. 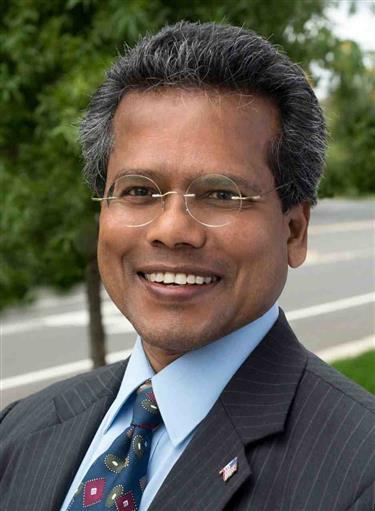 Professor Patrick Mendis, Harvard Kennedy School’s former Rajawali senior fellow at the Ash Center for Democratic Governance and Innovation, is an associate-in-research of the John Fairbank Center for Chinese Studies at Harvard University. An Award-winning American diplomat and military professor in the NATO and Pacific Commands, Professor Mendis has lectured at more than 25 Chinese universities, visited all the provinces of China, and traveled to every state in the United States as well as 126 countries.